CLARITY is a beautiful 48.80 metre motor yacht which was built and launched in Istanbul, Turkey by Bilgin Yachts in 2015. 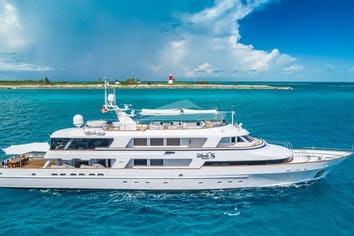 She is Bilgin's latest exciting delivery and represents a unique opportunity to charter a stunning vessel. 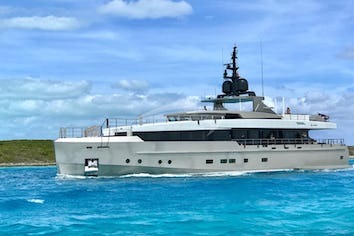 CLARITY offers multiple outdoor entertainment spaces, including the main aft deck, sky lounge deck aft, Portuguese private bridge forward and large open sundeck. 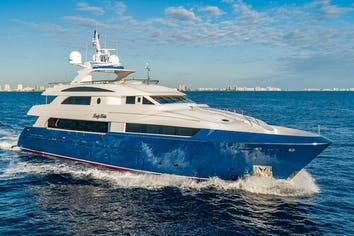 She features an expansive VIP guest cabin with king berth, two queen cabins and one twin cabin. DVD/DVR smart TV's in every cabin and throughout vessel. Individual climate controls in every cabin, hair dryers and bath robes in every cabin. Assortment of daily baked French pastries, fresh fruit, baked muffin, cake or slice, handmade yogurts, cured salmon and avocado salad. Also available for breakfast requests from guests. Aged Wagyu strip loin or grilled organic chicken. Grilled asparagus, parmesan, arugula, poached egg and truffle.